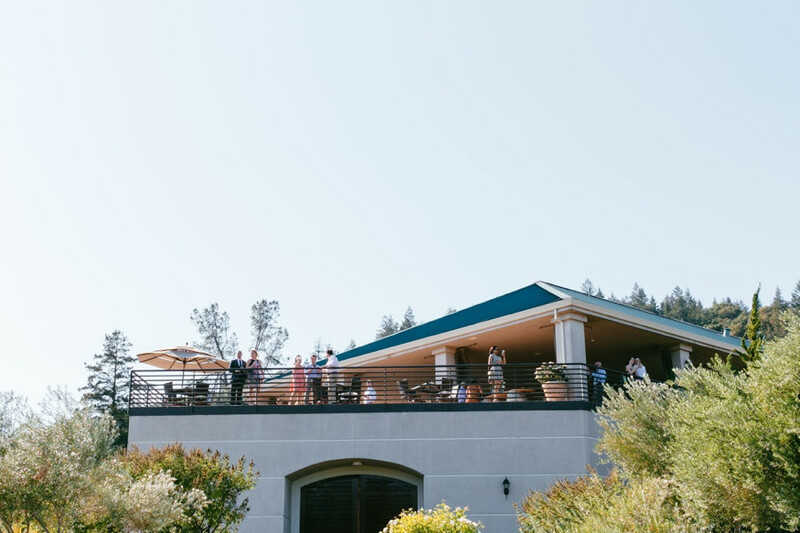 Celebrate love, family, and friends at this artisanal winery in Dry Creek Valley. 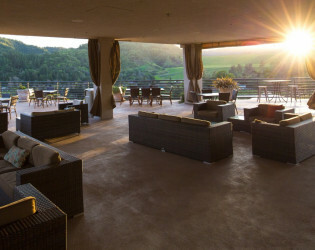 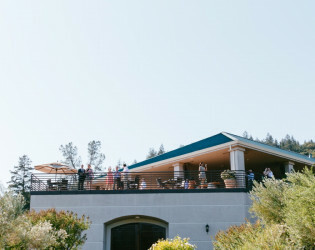 The family-owned winery tasting room is grand and it's terrace is even better. Surround yourself with gorgeous vineyards while enjoying chocolate and wine pairings. 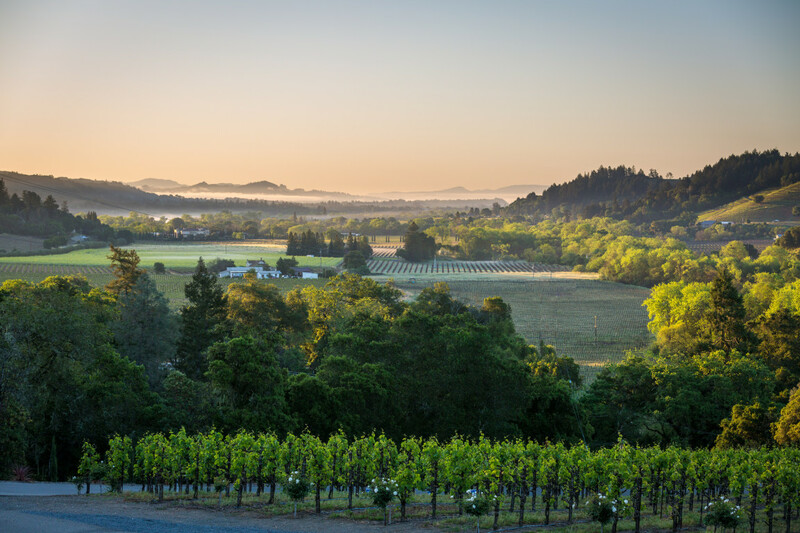 In northern Sonoma County, on the edge of Dry Creek Valley just outside Healdsburg, CA you will find Sbragia Family Vineyards overlooking the winery's estate with expansive views of the historic appellation. 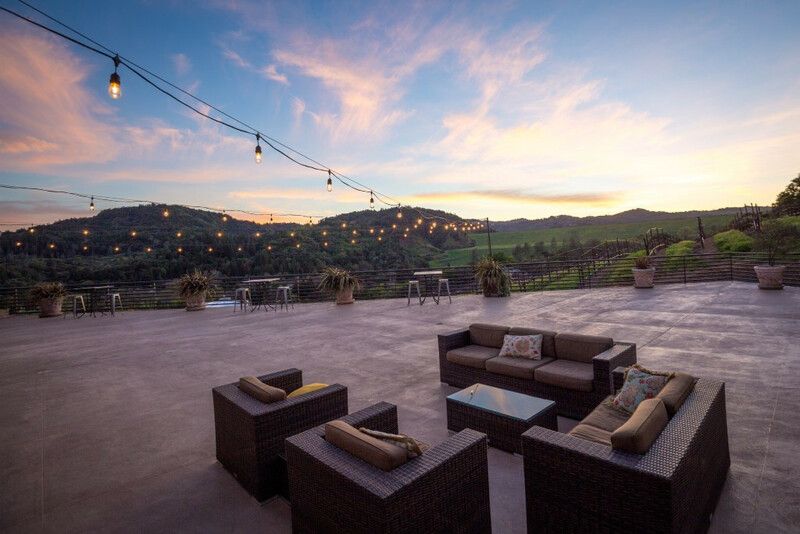 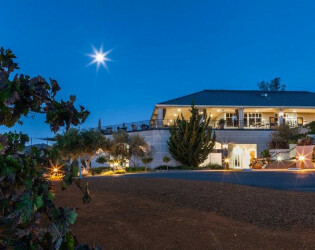 Set amid a flowering hillside of trellised vines, Ed Sbragia’s family winery offers magical views, distinguished hospitality, celebrated cuisine and award-winning wines. 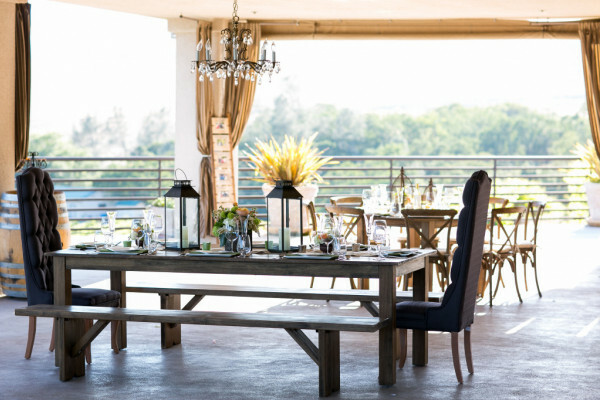 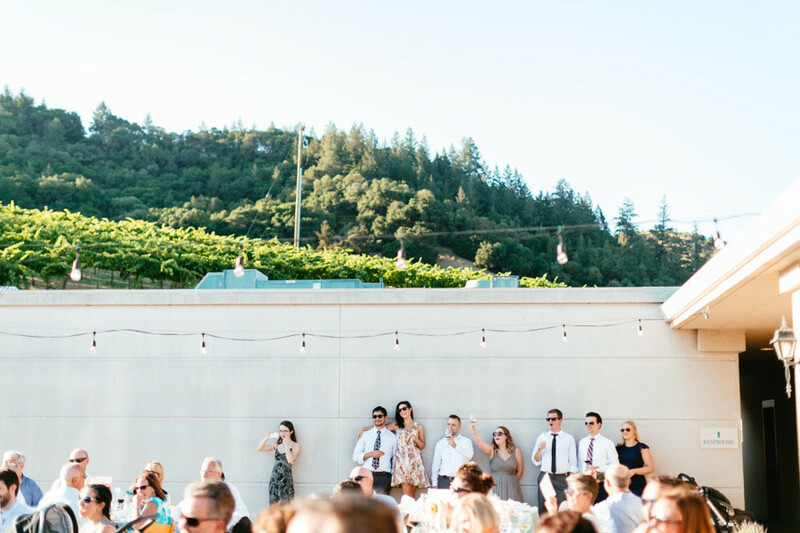 Open air venues combine with intimate indoor settings, to make Sbragia Family Vineyards the ideal location for weddings, as well as luncheons, dinners and a myriad of celebrations. 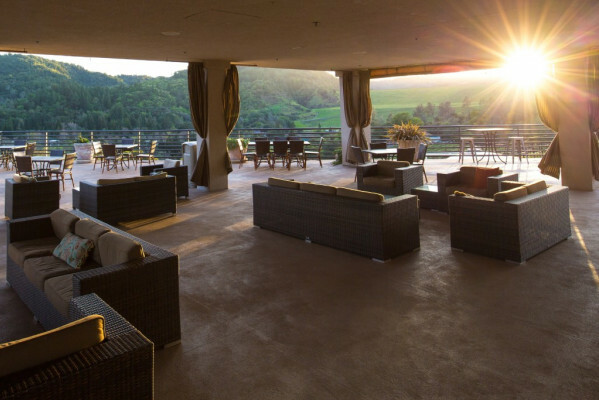 Reminiscent of an Italianate landscape, this artisanal winery rests above the legendary Dry Creek Valley. 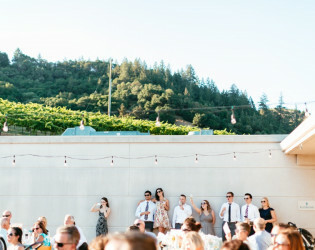 Surrounded by breathtaking coastal mountain vistas and vineyard covered hills, a time-worn grey stone terrace overhangs the valley and provides an ideal setting for an afternoon ceremony or sunset reception. Dinner, music and dancing can follow on the veranda under sparkling lights with views of the winery’s estate vineyard, 'La Promessa', dedicated to the founder’s family and their rich tradition of winemaking and celebration. 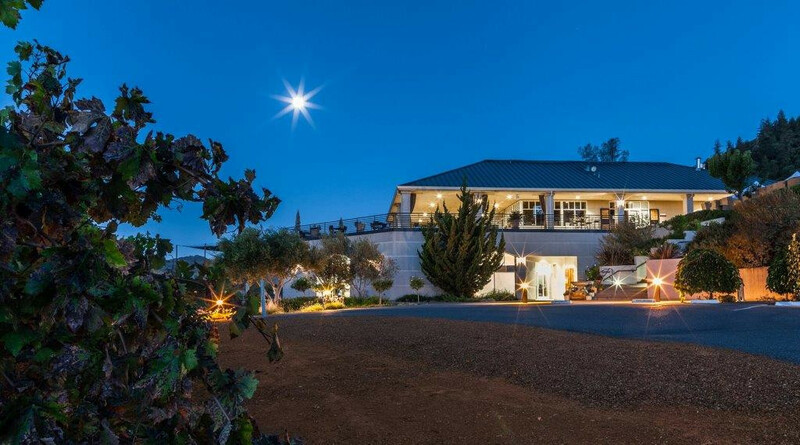 Finishing your evening under the starlit northern sky, guests are warmed by coastal mountain breezes and fragrant winds. 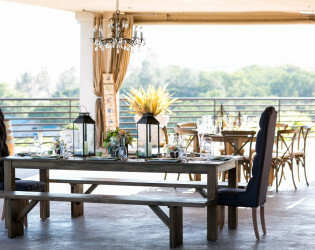 Included in the site fee is $8,445 worth of equipment that is provided for your use at no additional charge. 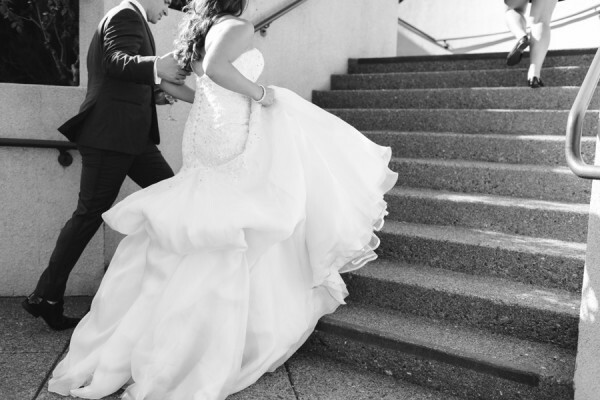 Two private bridal/groomsman waiting and changing areas. 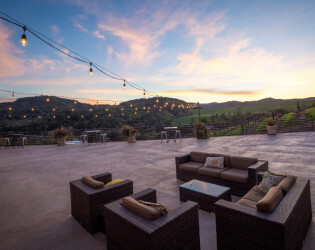 The Tasting Room staff at Sbragia is beyond killer. 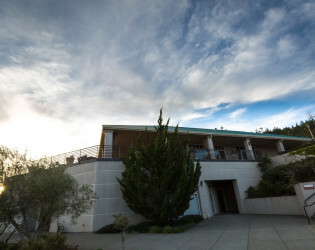 They are accomodating, friendly, and just plain nice. 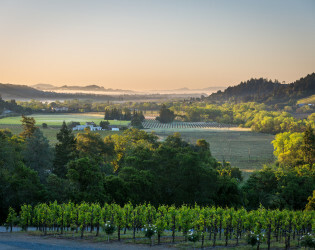 The views can not be overstated, it really does feel like you are floating over the valley. Our history in Healdsburg dates back to Ed Sbragia's grandfather who came from Tuscany in 1904 and worked in many wineries including the historic Italian Swiss Colony. 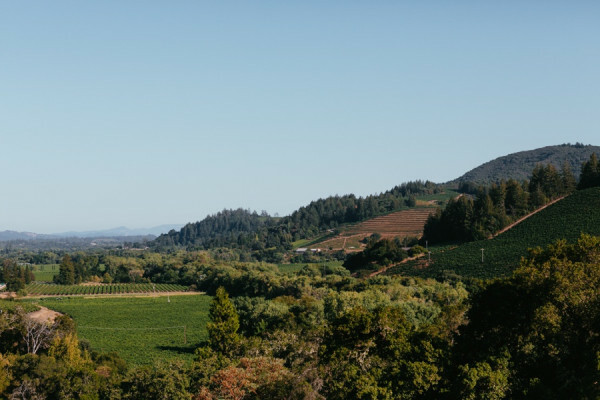 Ed had the pleasure of working with his father in their family vineyards in Dry Creek Valley while growing up. 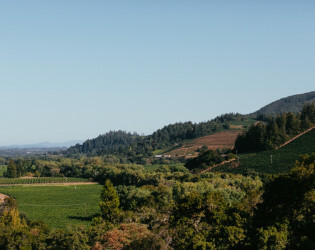 His philosophy was that winemaking was a natural process; all you needed for good wine was good land, good grapes and good techniques. 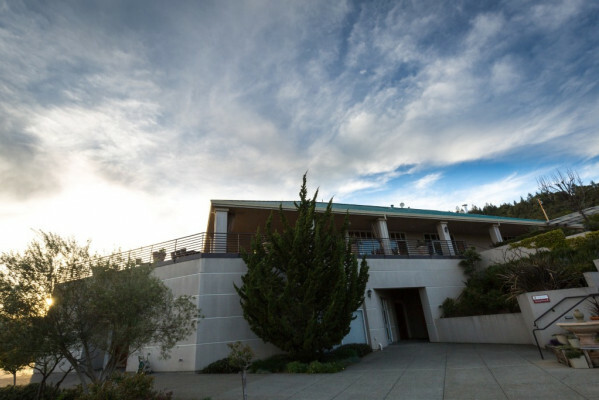 He was right, and that has been Ed's guiding principle since the start of his career. 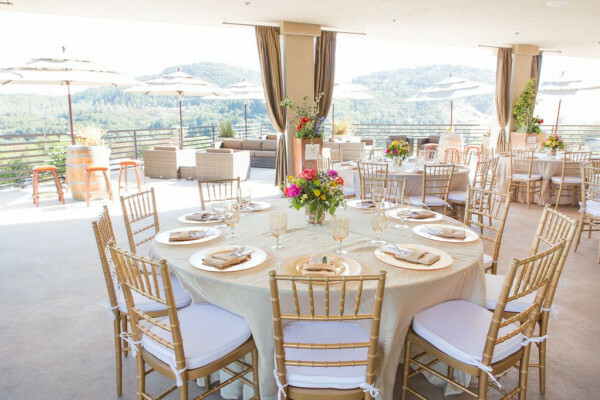 Our venue is more contemporary in feel and has a spacious open air grey stone terrace with amazing views in all directions. 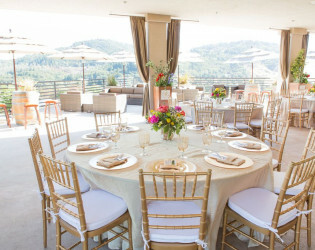 The property has two private areas for dining or to be used as bridal rooms. Large wood Barrel Room doors are the perfect backdrop for any group shots of your guests. 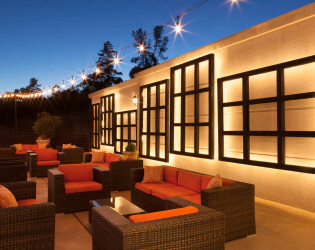 Just off of the Tasting Room is a large Executive Wine Library which is lovely setting for a more intimate group. Surrounded by breathtaking coastal mountain vistas and vineyard covered hills, a time-worn grey stone terrace overhangs the valley and provides an ideal setting for an afternoon ceremony or sunset reception. In northern Sonoma County, on the edge of Dry Creek Valley just outside Healdsburg, CA you will find Sbragia Family Vineyards overlooking the winery's estate with expansive views of the historic appellation. Reminiscent of an Italianate landscape, this artisanal winery rests above the legendary Dry Creek Valley. 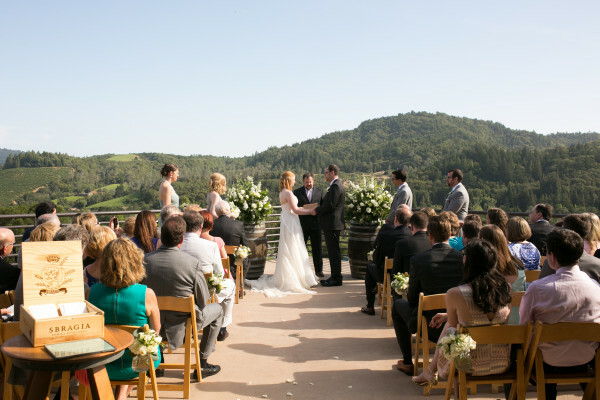 Open air ceremony on point of terrace. Our venue is more contemporary in feel and has a spacious open air greystone terrace with amazing views in all directions. 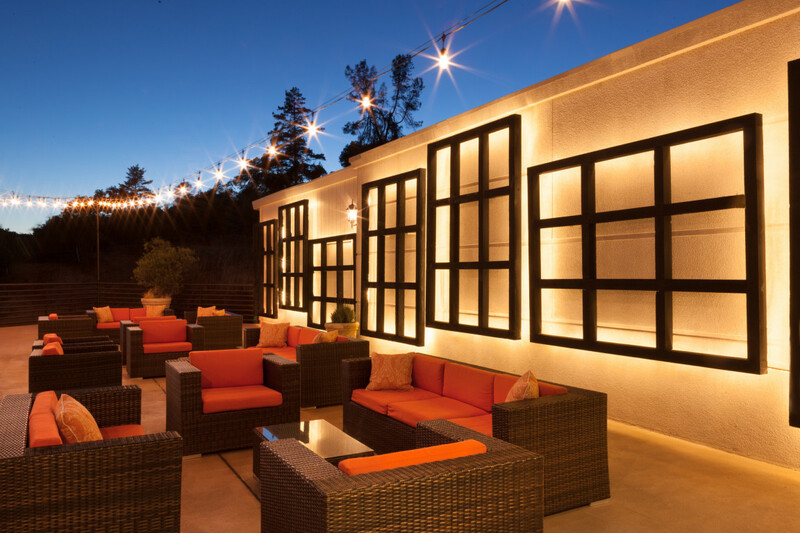 Dramatic lighted wall art creates a sophisticated feel at night.